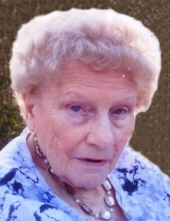 Theresa L. (Reilly) Antonio, age 88, of Cheshire, passed away on December 5, 2018. Born in New Haven on January 4, 1930, she was a daughter of the late Timothy & Mary (Conboy) Reilly. A resident of Hamden most of her life, she was the widow of Edward B. Antonio, Sr. Theresa is survived by her daughters, Pamela Gadd & her husband Al of Northford and Robin Giorgio & her husband David of Cheshire; granddaughter Theresa Giorgio; her sister Irene DePalma; and several nieces & nephews. Theresa was predeceased by her son Edward B. Antonio, Jr.; her sisters Mary Reilly & Helen Keidinger; and brothers Timmy, Charlie, & Johnny Reilly. Friends may attend her Mass of Christian Burial on Tuesday, Dec. 11th at 10:00 a.m. in the Blessed Sacrament Church, 321 Circular Ave., Hamden. Burial will follow in All Saints Cemetery, North Haven. Arrangements in care of Beecher & Bennett Funeral Home. To send flowers or a remembrance gift to the family of Theresa L. Antonio, please visit our Tribute Store. "Email Address" would like to share the life celebration of Theresa L. Antonio. Click on the "link" to go to share a favorite memory or leave a condolence message for the family.